Size is Everything: The Top 5 Small Kitchen Machines - Nisbets Australia Blog - Industry news, trends, recipes and more! 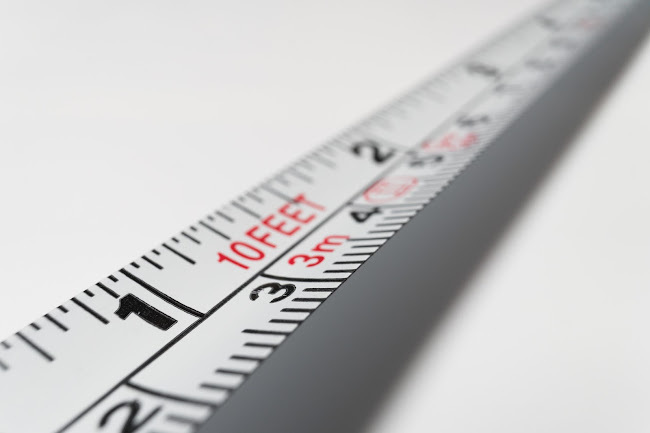 The best way to cram the most performance out of a machine is to invest in one that can carry out numerous different tasks - this reduces the need for multiple different appliances, so it's often worthwhile to spend a little extra for the functionality. One of the most popular small kitchen machines is the commercial microwave. Great for cooking, defrosting or reheating, a microwave excels at many different functions and is often overlooked in favour of range ovens or combination ovens. Microwaves are also far more energy efficent and can often be stacked or positioned on shelves to make the most of all the available space you have. Although high capacity freestanding fryers are great, they can take up quite a lot of room. A commercial Bench Top Deep Fryer still allows you to make fried chicken or chips, as well as snacks like doughnuts or churros, all without using up valuable floor space. 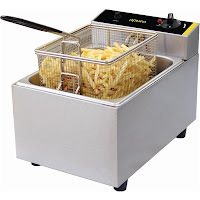 Bench Top Fryers are also ideal for demo cooking or as extra capacity during your busy hours. 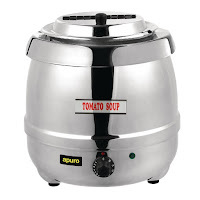 A Soup Kettle has got to be one of the very best small machines. Designed to hot hold any pre-cooked foods, you can serve soup, chilli, curry, mulled wine or even custard in these compact pots. They pay for themselves really quickly too, check out the Why You Need a Soup Kettle blog for more information. If you're spending an age slicing, grating and dicing vegetables, a Commercial Food Processor can really help you to save time and effort. The great thing about food processors is that they don't take up much bench space and are usually just plugged in - just stow it away when not in use. Most processors also have interchangeable discs, allowing you loads of different types of cuts depending on your menu. 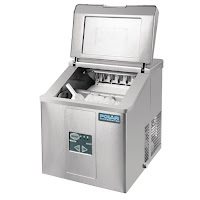 Although it's possible to buy very large Ice Makers, the compact versions are often overlooked. Bench top ice makers can often fulfil the need for ice where larger versions can't, as their compact design allows them to squeeze into smaller spaces and there's no need for a mains water connection. As ice is such a vital ingredient in modern catering, a bench top ice maker is a fine choice if you're short of space. There's many more machines which save space on the Nisbets website, as well as a massive selection of larger machines to meet the needs of any professional kitchen. Check out our full selection of cooking machines or the Caterhub for more videos, guides and articles.